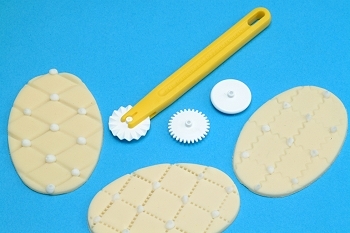 Create elegant pattern designs on rolled fondant, marzipan, gum paste and modeling chocolate with this specially designed tool. 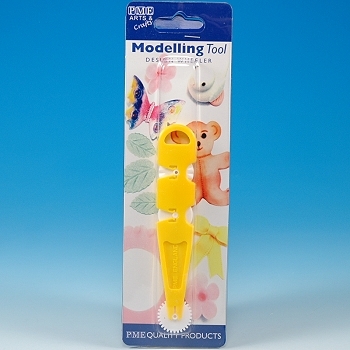 Tool comes with 3 interchangeable design wheels - a fluted, stitch and rounded wheels. 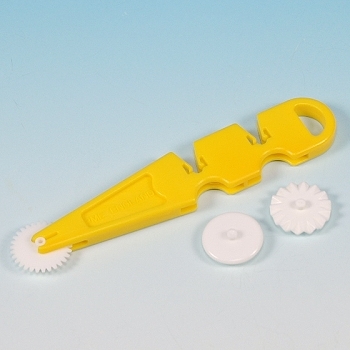 Dimensions: length 4 3/4", width 3/4"